So having a kid that works at a local grocery market, definitely has it’s perks. Besides saving money on groceries and finding the best deals on produce and particular cuts of meat, he also talks to a lot of people! Plus, he likes to eat. And he’s proud of me and my job. He has been my date to more than one blogger event. So one day, at work, he’s chatting up a really friendly customer, like he does on a daily basis (did I mention he’s totally a people person?) and he happens to mention to her that his mom is a recipe developer and food blogger. Flash forward to about 4 months later. I get an email out of the blue from a woman not named Nicole/Nichole who is doing PR for Noodles & Company, a restaurant that I had not ever been to before. We wondered if it was a coincidence, we wondered if it was the same company, so I responded. At that point, I was invited to a special blogger VIP tasting event at one of our local establishments. Having never eaten there, I was pretty excited to be able to sample the many dishes and experience this new-to-me restaurant. The theme of the night was dishes under 500 calories. 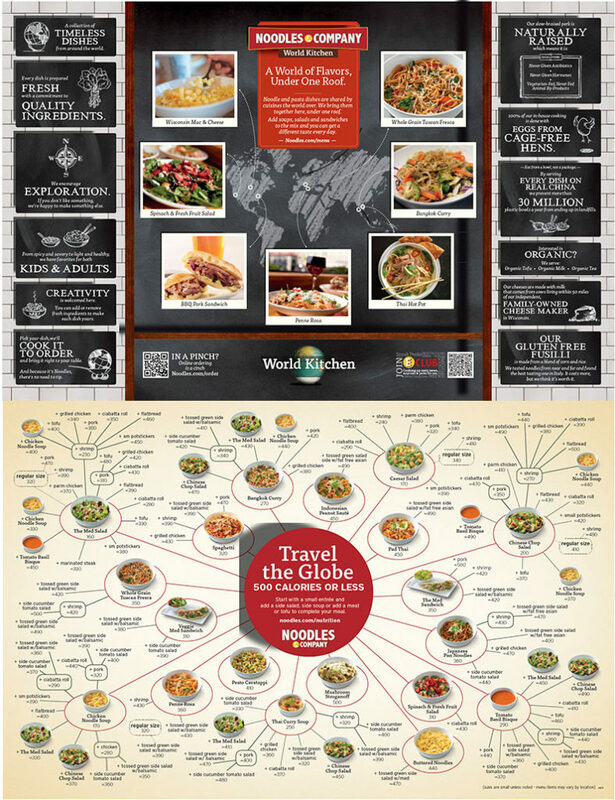 First, Noodles & Company is a pretty well-known establishment. In St. Louis, we have eight locations and this summer, a ninth location will be coming to St. Charles about 3 minutes from my house. Their tagline is REAL Food. REAL Cooking. REAL Flavors. So I was definitely eager to check them out. I actually wondered why I hadn’t but honestly there isn’t one that is all that close to where I live. I know it’s coming and this summer I would have inevitably decided to try it, now I know I will be eating there. Their menu features up to 120 menu combinations, and they literally have something for everyone including the picky eater and most dietary restrictions. Every Thursday night from 4-8pm, they have a family night designed for those with children. You can get a free kids entrée with the purchase of one adult entrée. Apparently this is only for a limited time though, so make sure you visit really soon. The first thing that I loved about this place, is that fresh and from-scratch seem to be the theme. They use 14 varieties of vegetables always on hand, and they make all of their sauces completely from scratch. Noodles and Company doesn’t own a microwave OR a freezer. A fact that seems nearly impossible but when you realize that everything is fresh, you understand. 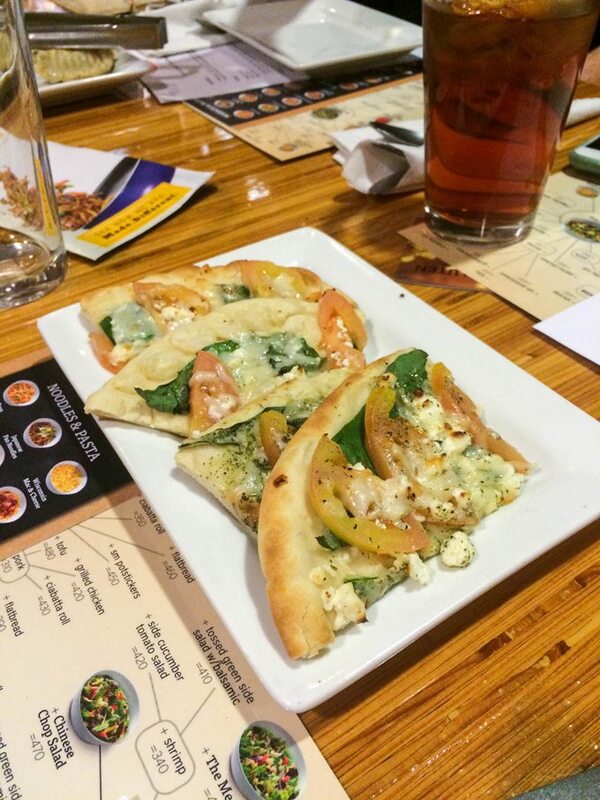 Margherita Flatbread – Roma Tomatoes, Parmesan Cheese, Feta Cheese, Basil and Italian Seasonings. I’m pretty sure this was the favorite appetizer amongst us all. Deliciously cheesy, savory with herbs and tomatoes and just… I could probably eat a whole plate as a meal. It was a nice light appetizer. Simply delicious. Potstickers – Chicken Potstickers with Napa/Red Cabbage Blend, Potsticker sauce and red pepper. 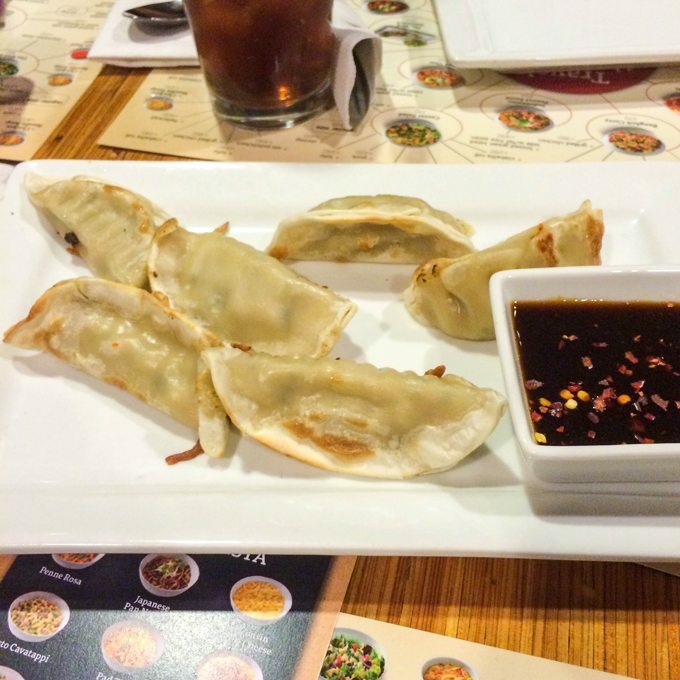 I have loved potstickers since I was very young, and I tend to be kinda picky when it comes to them. These were fabulous. The filling was extremely savory and flavorful, and tasted good with or without the sauce that packs a punch of heat but is sooooooo sweet and good! 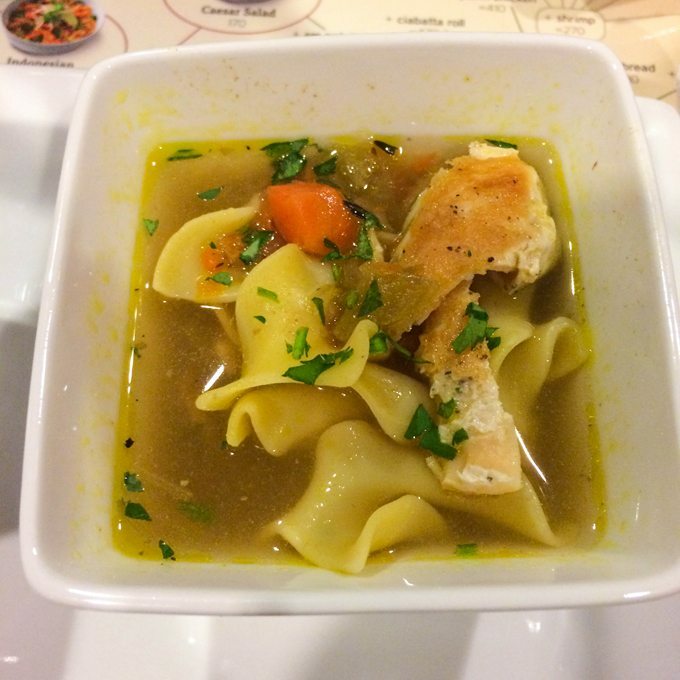 Chicken Noodle – Chicken broth with Vegetables, Egg Noodles, Grilled Chicken Breasts, Fresh Parsley, Ciabatta Rolls. This soup was fantastic as far as Chicken Noodle Soups go. Large Egg Noodles, whole pieces of grilled chicken breasts and it all tasted incredibly fresh and it was super hearty. 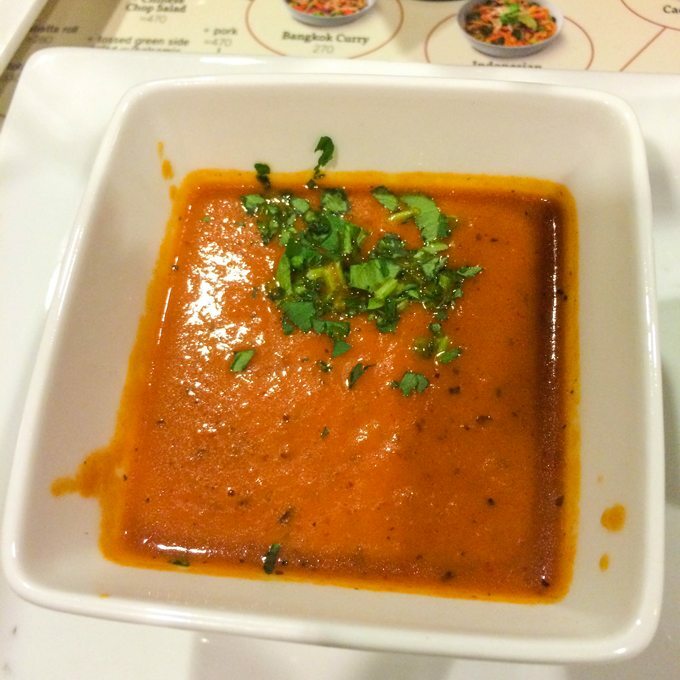 Tomato Basil Bisque – Hands down, my favorite soup. This stuff is like, incredible. This is a soup that would take a grilled cheese to literally another galaxy. This isn’t just some tomato soup. No way! Soooo good! 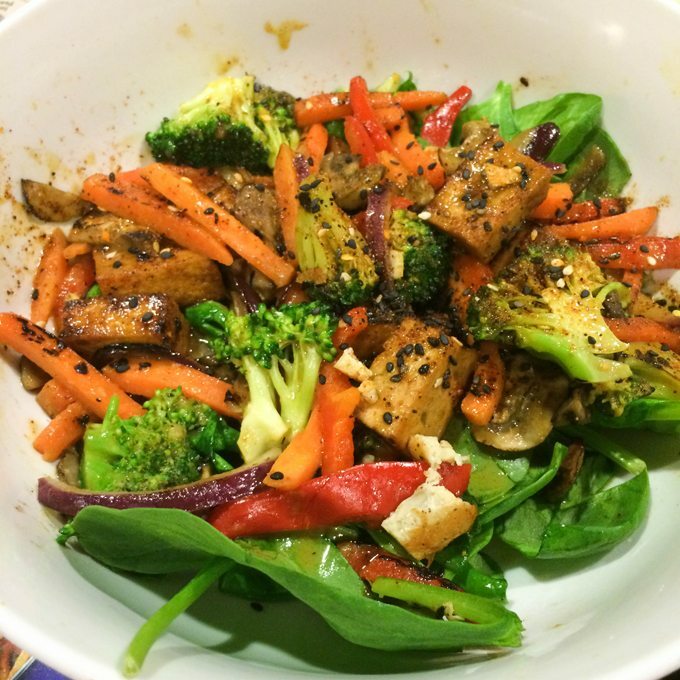 The Med with Chicken – This is one of the heartiest salads I’ve ever had. Grilled chicken, romaine, mixed greens, tomato, cucumber, red onion, olives, cavatappi pasta, spicy yogurt dressing and feta cheese. DELICIOUS! And filling! This salad could totally hold it’s own with nothing else needed to snack on. Though, if I were you, I’d get this and the Tomato Bisque and call it a meal! The Chinese Chicken Chop – Grilled chicken, sesame-soy tossed mixed greens, Asian sprouts, napa and red cabbage, red bell pepper, cucumber, carrots, crispy wontons and black sesame seeds. Holy flavor profile. There’s a lot going on in this salad and I was pleasantly surprised by how much I loved it. I adored the little crunch that the wonton strip and sesame seeds gave it. 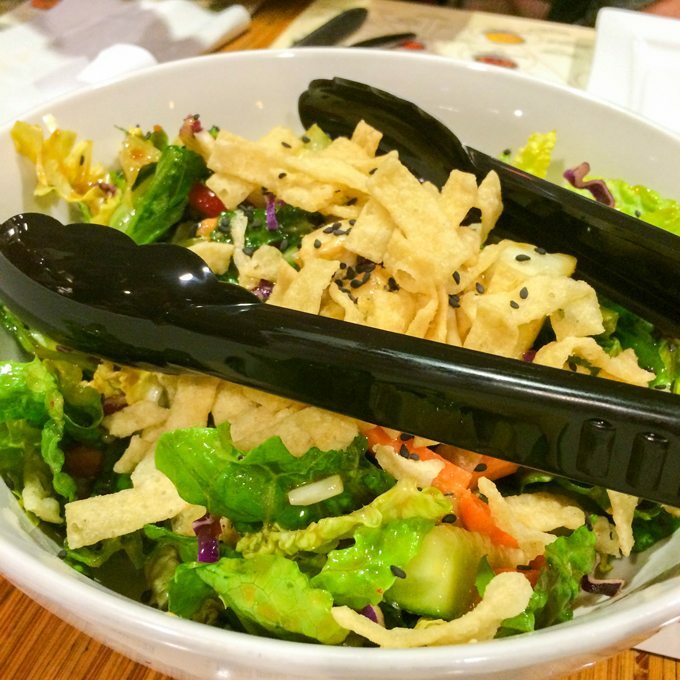 The Sesame Soy dressing just pushed it all over the top. 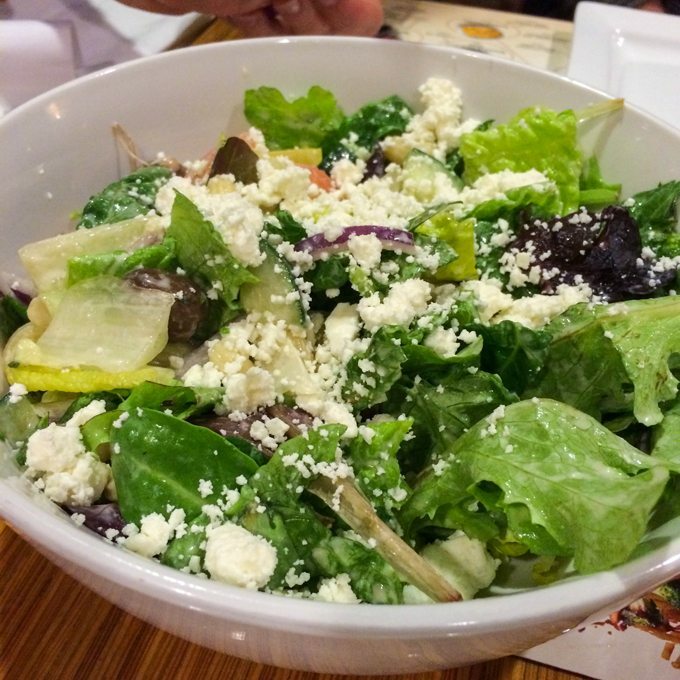 This is one heck of a good salad! 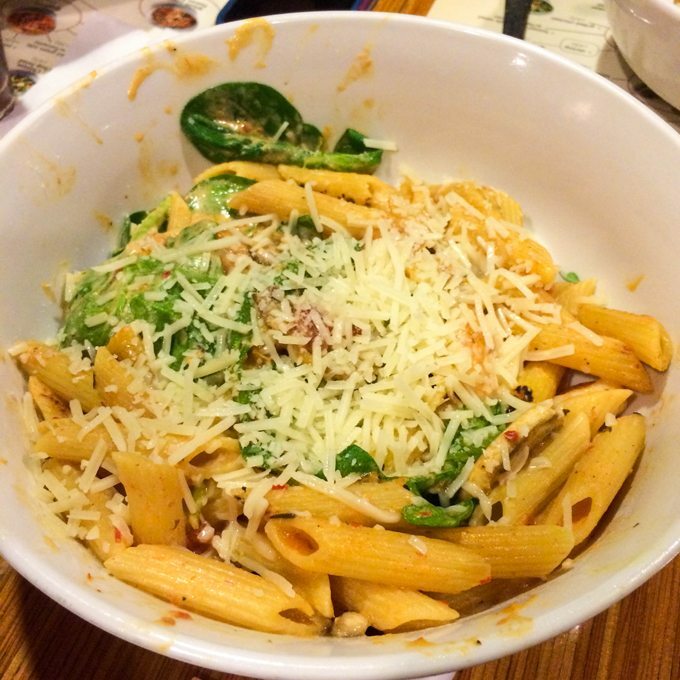 Penne Rosa – Spicy tomato cream sauce, penne pasta, mushrooms, tomato, spinach, wine and parmesan or feta. This was one awesome pasta. I actually came back the following week and this is what I ordered except I added shrimp to the bowl. It’s hearty, savory and spicy. I loved it. Whole Grain Tuscan Fresca – Whole grain linguine with balsamic, olive oil, white wine and roasted garlic, red onion, tomato, spinach, parmesan or feta and Italian parsley. This was my least favorite pasta, but not because the flavors weren’t delicious – they totally were. I’m just not a fan of whole grain pasta because it always tastes gritty and grainy to me, and while I don’t typically have a texture problem, I somehow do with Whole Grain pasta. However, with another noodle, the savory mixture of flavors in this pasta was incredible! These are the newest items to hit Noodles & Company. The Buff Bowls are AMAZING. Very hearty, whole meal bowls that will leave you incredibly full. 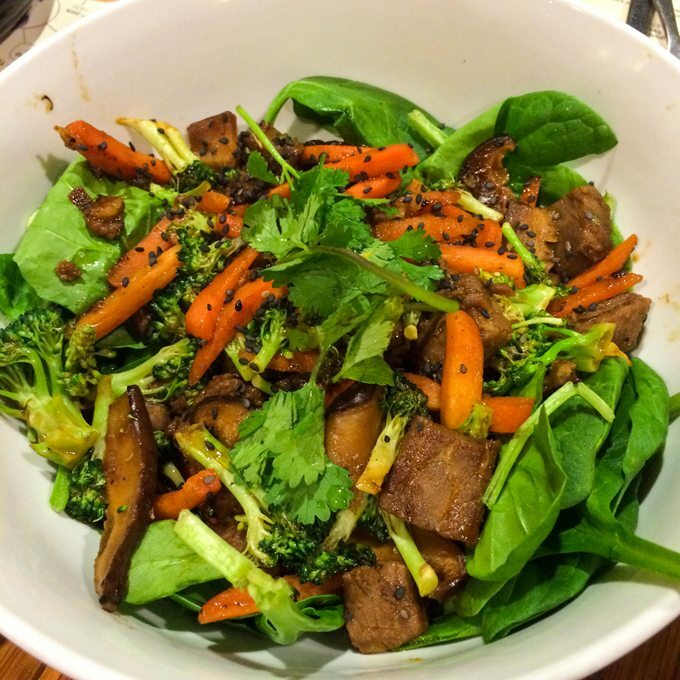 Japanese Pan Buff Bowl with Steak – Marinated steak on a bed of spinach, served with twice the broccoli, carrots, shiitake mushrooms, asian sprouts, black sesame seeds and cilantro, dressed with a sweet soy sauce. This was actually really good. I loved the steak and mushroom combo – two of my favorite things – and loved the fresh spinach, but would have perferred no veggies. (this by the way is possible – you can order these any way you want them). The sauce this was all cooked in was SO good! It was a sweet soy sauce. Pesto Buff Bowl with Pork – Naturally raised pork tossed with basil pesto, garlic, mushrooms and tomato served on a bed of spinach. This was probably my second most favorite dish I tried. This is the kind of thing I crave at odd times and I’ve been wanting to head back because this one is what I want to order. I’m thinking about changin gout the pork though, and trying it with shrimp or grilled chicken. Bummer! We didn’t get a photo of this next one. 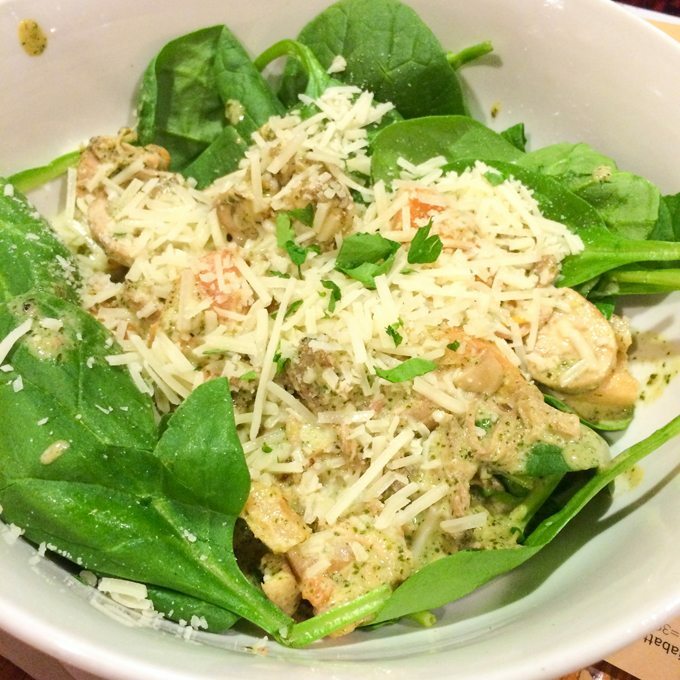 Tuscan Fresca Buff Bowl with Chicken – This one I wasn’t crazy about. Not my favorite, but still enjoyed the flavors because I like to try new things. Grilled chicken breast and a load of delicious veggies like tomato, roasted garlic and red onion, tossed with olive oil and served on a bed of spinach and tossed with feta cheese. I’m not sure what the flavor I didn’t like on this one was, but it was one I just didn’t climb on board for. However, if you are looking for a light, veggie filled bowl with delicious grilled chicken (because all their grilled chicken is soooooo good! ), this is a great bowl for you. Bangkok Curry Buff Bowl – Organic tofu flavored with sweet coconut curry and served with twice the broccoli, carrots, red bell pepper, onion, mushrooms and spinach, sprinkled with black sesame seeds and Asian seasonings. This buff bowl caught me completely off guard. It had Tofu. And I liked it. Like… a lot. The texture was a little odd, but honestly the flavors made it all better. It was different from anything I’d ever had before, but I really think I’d order this one. 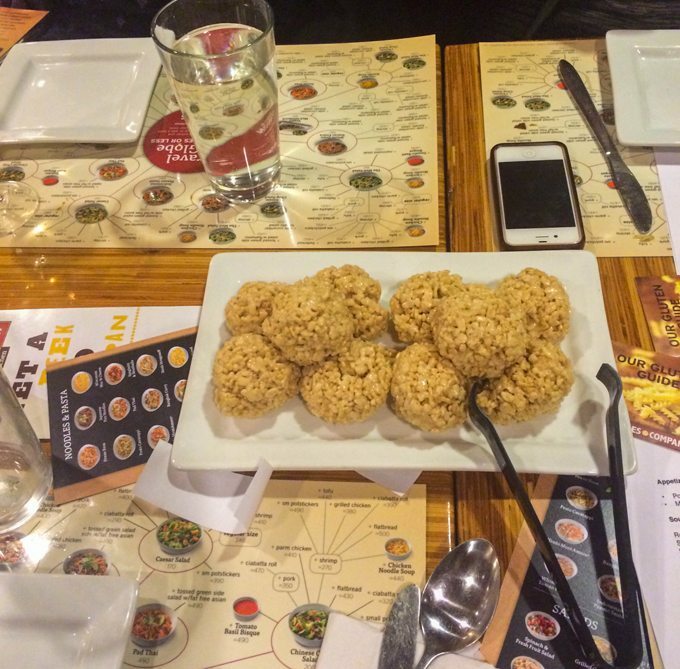 Rice Krispy Treat Balls – seriously. Yes. And they are made fresh daily. They were so soft and you could tell they were fresh. It was like being a kid again. 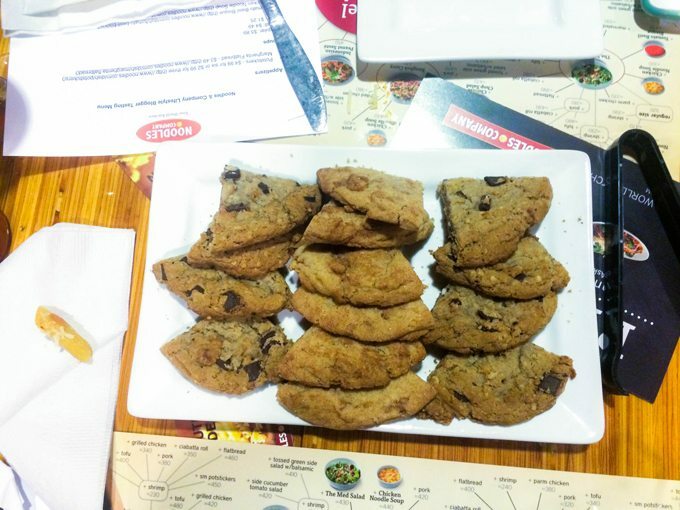 Cookies – Chocolate Chunk and Snickerdoodle. Just. Yum. So what will I be ordering the next time I go? Tomato Basil Bisque Soup, Pesto Buff Bowl with Shrimp and an order of potstickers. Yes. Now I’m hungry. 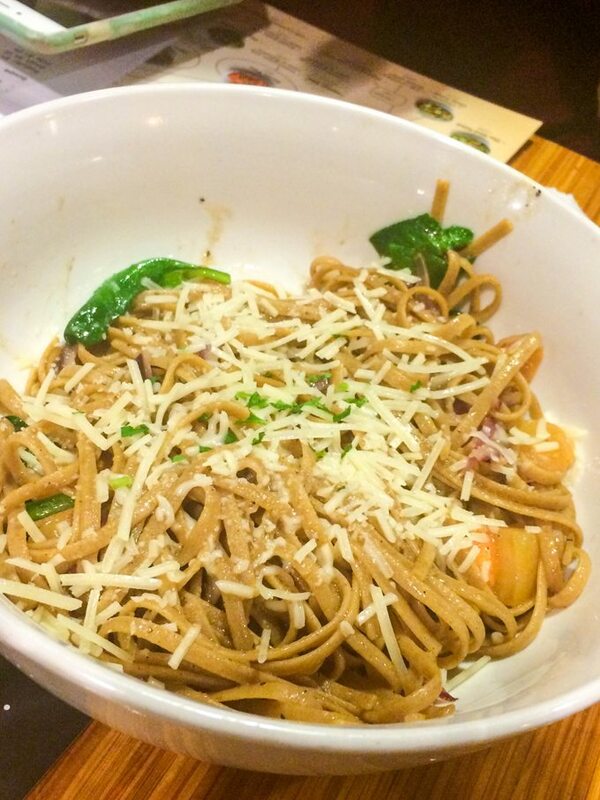 Noodles & Company should definitely top your to-try dining place. The whole family will find something to love and can build a meal any way you want it. I’m looking forward to the St. Charles location opening up closer to me this summer, but for now, I’m perfectly happy visiting my son’s new friend Nicole (who by the way sent home an entire meal for him since he didn’t attend with me), and enjoying their friendly atmosphere. I attended a complimentary VIP tasting, so I could try the food and write this review. No further compensation was received and as always all opinions are 100% honest and my own.